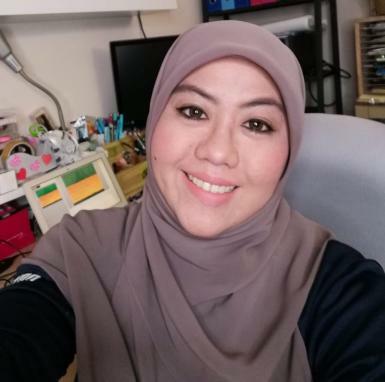 Is a researcher in the field of primary science education, now working on to improve the current primary science education in Brunei and also expand my research interests in the role of language, semiotics and Islamic values in science education. I am also interested in early science and professional education of teachers. My research areas also include promoting "Dialogic Teaching in Bruneian Science Classrooms". 1. Currently as the main supervisor to a Ph.D. student entitled "Science Show to Promote Students' Understanding and Engagement in Science"
2. Co-supervisor to a Ph.D. student entitled "Disruptive Behaviour Among Young Adolescents: Exploring The Perceptions, Beliefs, and Practices of Secondary School Teachers in Brunei Darussalam"
1. Dialogic Teaching in Promoting Students' Understanding of Excretion in Year 9 Biology Lesson. 17. The Use of Patterning in Preschool Classroom (2015). Matamit, H. N. H., Roslan, R., Shahrill, M., Said, H., & *Prahmana, R. C. I. (2018). Classifying the Challenges of using Storytelling in the Elementary Science Classroom. Paper presented at the International Conference on Mathematics and Science 2018 (ICMScE 2018), “Promoting 21st Century Skills Through Mathematics and Science Education”, Universitas Pendidikan Indonesia, Bandung, Indonesia, May 5, 2018. Phoon, H. –Y., Roslan, R., Shahrill, M., Said, H., & *Prahmana, R. C. I. (2018). Featuring the Comic ‘Nym the Leaf Fairy’ in Teaching about Plant Systems at Elementary School Science. Paper presented at the International Conference on Mathematics and Science 2018 (ICMScE 2018), “Promoting 21st Century Skills Through Mathematics and Science Education”, Universitas Pendidikan Indonesia, Bandung, Indonesia, May 5, 2018. Khoo, Jia Sian, Masitah Shahrill, Norashikin Yusof, Georgina Chua Ling Ling and Roslinawati Roslan (2016) GRAPHIC ORGANIZER IN ACTION: SOLVING SECONDARY MATHEMATICS WORD PROBLEMS. Journal on Mathematics Education, vol.7, no.2, Universitas Sriwijaya, Palembang. Damit, Amirudin, Shahrill, Masitah and Roslan, Roslinawati (November, 2015) Investigating the Effectiveness of an Assessment Task through Collaboration in a Bruneian Classroom. Mediterranean Journal of Social Sciences 6(6 S1):214-223. Roslinawati Roslan (2018) The use of stories and storytelling in primary science teaching and learning, Studies in Education, pp. 79 - 89, Universiti Brunei Darussalam. Currently a member of PREVA, PISA 2015. Have worked on a research collaboration with an academic from School of Education, University of Queensland Australia. - Volunteer Facilitator for Yayasan PIP Programme 2015. - Carried out CPD in Early Science for Private School Teachers 2015. - Reviewer for Pakistan Journal of Educational Research and Evaluation (PJERE) since July 2015. Coordinator of SPARC, SHBIE, UBD.